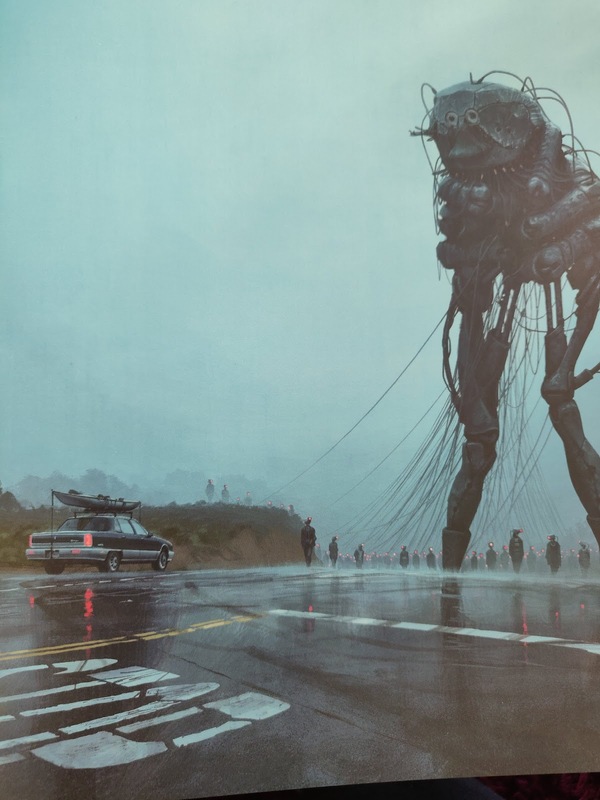 Simon Stålenhag has been around for a while as an artist , musician and as a desinger. Being late for the party, i discovered his third book "The Electric State" recently thanks to Freeleague publishing. Kickstarter funded, overshot it's original goal with miles and the rest is history. Amazon has plans for a TV Series of Simons earlier with "Tales from the loop" an "The Electric State" is about to be a movie in the hands of talented producers. 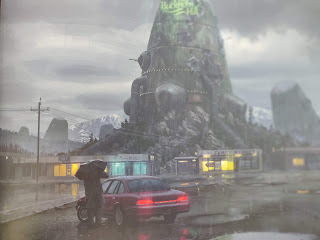 So there you have it, Simon Stålenhag has talent. As a child of the 80:s i was drawn into the story instantly, from the first page. The images and words by Simon Stålenhag creates a sense of post-apocalyptic eeriness , a need to find out what happens next in this road-movie installement. We are in the Pacific. The world has not ended, but put on hold by humanity. Without spoiling too much i have to say i enjoyed reading and admiring The Electric State a lot. It falls into the category "Page Turner" for me, as i find the environments, the road-movie style story inviting,tense and exciting. 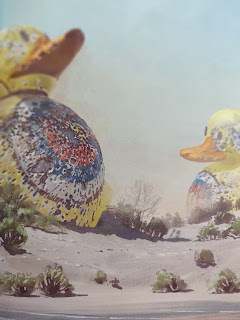 The combination of Simon Stålenhags texts together with his doom-scented artwork took a firm grip of me and did not let go until the last page was turned. Neurocasters, huge droids, assembled by cables and artillery resting or scouting throughout the landscape. The world has become a place of dry barren drought-ridden land, empty motels, armed guards here and there working for whom? There is suspense, loneliness and hurt . We have grit, longing and love. It's easy to find parallels to our everyday life in this work, just watch and think . It is there , very clearly. Could this be the world to be we are seeing in the future of mankind ? One has to admire the work behind "The Electric State", the sheer imagination and idea behind the whole setting we are invited to experience through Simon Stålenhags work. The artwork is mind-blowing, photo-esque pictures of the landscapes, droids and cities ooze of desperation, aftermath and creeping death. The Electric State is still within my mind, i doubt it will ever leave. "Did you hear the story of the Forbidden Lands? Beyond the mountains, beyond the mists of the north? Once, it was called the Ravenland, our promised land. These days, strange creatures haunt those valleys, beasts that should not be, for the land is cursed...."
This review will be focused on yet another title from Free League Publishing. 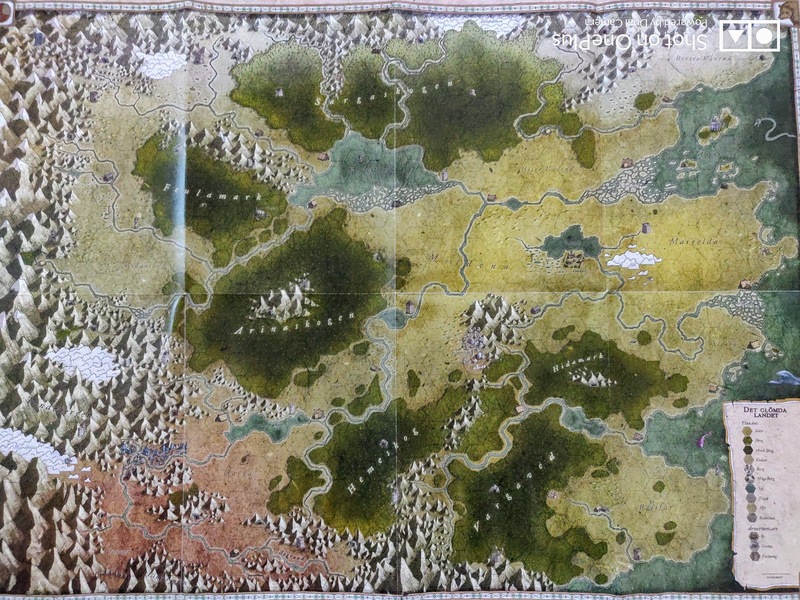 'Forbidden Lands' is the name and RPG hex-crawler adventuring is the game! We are in a vast Blood-mist ridden continent of Ravenland. The Bloodmist enslaving the lands for centuries has unexpectedly vanished and for the first time in very very long time travellers dare to explore their surroundings. Now there is a possibility to visit that far reaching village of not yet known inhabitants, to explore those ancient ruins in the distant, dwell in those forgotten dungeons and learn by exploration why things went as they did. Thee are not heroes or kings, but rogues and villains searching for truth ,destiny or loot and gold or perhaps all of the above ? Ye are not good nor evil, but people of the Forbidden lands. 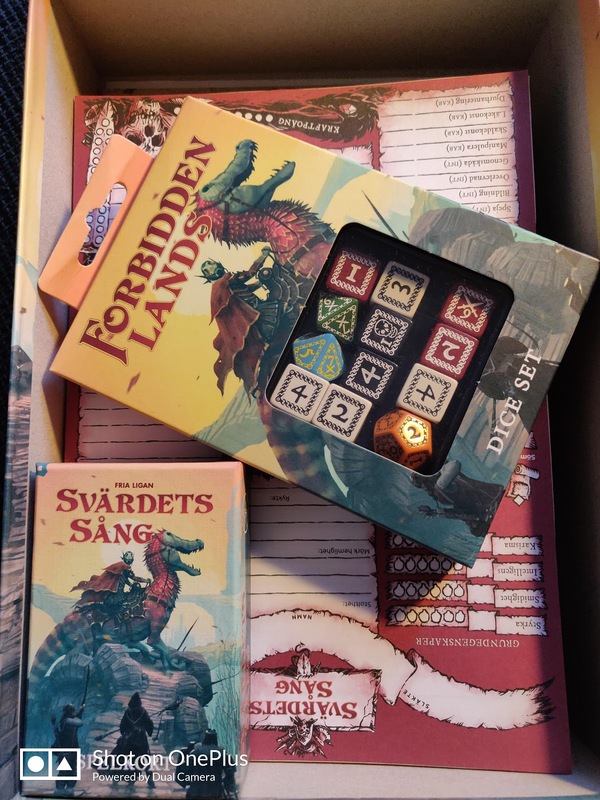 Forbidden Lands was born as a stretch goal whilst running a Kickstarter for a artbook , representing one of the living legends in Swedish Roleplaying history Nils Gulliksson. He has illustrated RPG games as far back as i can remember with excellent results. Needless to say the stretch goal was reached with good margins. What do we get then in the 'Core Boxed Set ? The two most eye-catching items are the GM Guide and Player Handbook. The faux-leather backs on the GameMaster Book and Player Handbook is top notch quality. 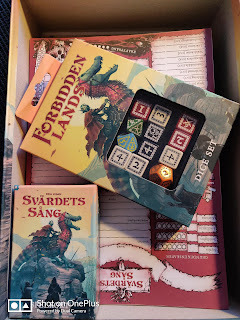 Proper premium paper used to print the pages in the books accompanied by the illustrations of Nils Gullikson himself makes Forbidden Lands a genuine package . Solid binding used to keep the pages tightly fit with the strong backs of the GM and Player Guide. In the GameMaster volume there are three complete adventure sites included , so you can get your campaign going from the start. The Hexagonal overlay represents areas to explore, and with the map comes stickers to be used as markers for graves, fortresses and other landmarks. We also get a sticker sheet , for using to mark down adventure sites, graves and so on . There is a "Legends and Adventurers" booklet included as well. The booklet helps you in creating player-characters, their backstories , tables with possible enemies, events and lots more to kick you off quickly, if you dont want to spend too much time on setting up those details. By opening the box, it all looks very promising . What about the game system then ? The gameplay uses custom dice, as in previous titles like "Mutant Year Zero". We have our 4x Base Dice, 3x Skill dice and 2x Weapon dice. There is also 1 x D8 , 1 x D12 and 1 x D10 used as artifact dice. Yes, we are talking Custom engraved dices here, sold separately and beautifully designed. They are not essential to be able to play the game, any T6 sets will do . So what about the actual mechanics of creating your characters ? As in traditional RPG:s all players get to choose Kin, Profession and Age for our player characters. Once that is settled we have to divide a given number of points on attributes. The Player Characters are built upon Attributes, Skills and Talents. Attributes being the core properties describing you characters form. Strength, Agility, Wits and Empathy. We also have skills for each player, depending on what gets inherited through Kin and Profession . There are a number of 16 skills to marvel upon. Talents : those are also in some cases inherited through your characters age, kinship and profession. Each character also gets to choose a personal "Pride" . This should be based on a past event, a certain ability or or something else. Pride can be activated when failing a skill roll, but once used it is dicarded and a new "Pride" has to be selected for the next game session. We also have to choose a "dark secret", an experience from the past that the GM can use to build the storyline with , and it can even generate experience points at the end of a game session. The player guide has some suggestions on a few but it is up to the player and GM to decide what to choose. Once were all done with the above it's up to gear your characters and decide relationships between the party of characters. This is all done during the first game - gathering , together with the GM. There are two campaign books available "Ravens Purge" and "The Spire of Quetzel". Both titles are packed with legends, adventure sites and events to throw in your lovely stew of slaying enemies, looting and learning legends of the land. Ravens Purge is available for purchase from Free Leagues webshop , The Spire of Quetzel was available in the Kickstarter campaing and might be available later from Free League as purchaseable. The cards can be used for artifacts, manouvers and and mounts in the game. There is also the Gamemaster Screen, a great help for any GM. 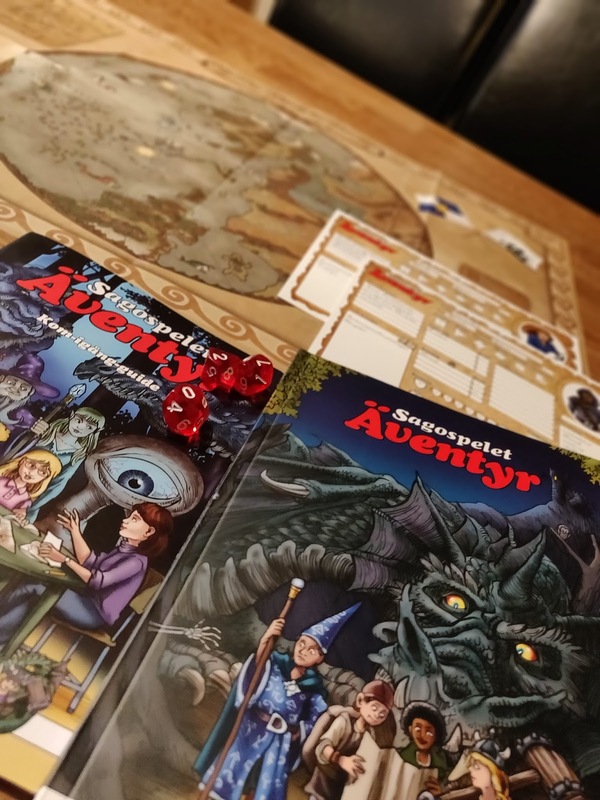 Awesome graphics by Alvaro Tapia for the players to marvel upon and the inside of the screen containing useful quick reference tables to be used while playing . Event driven exploration comes to mind, with a looming main story humming in the background. 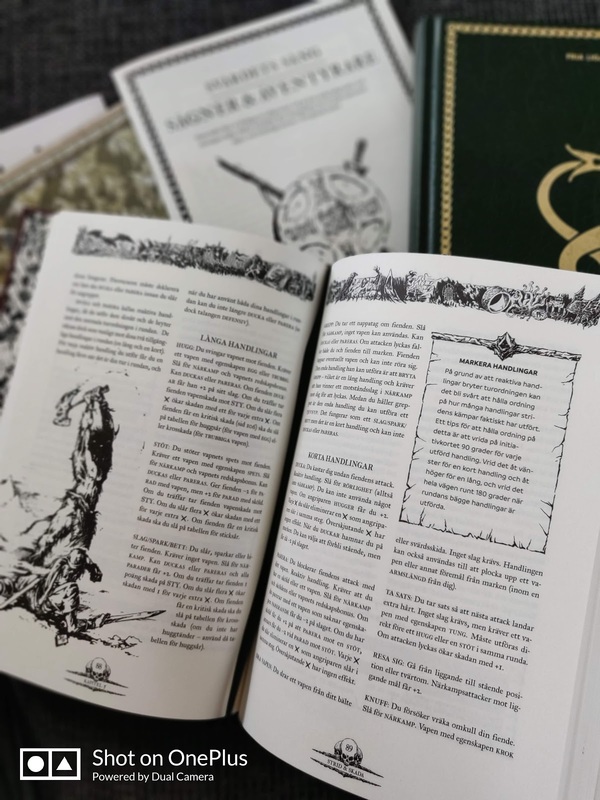 All material, GM and Player handbooks is written meticulously. There is a lot of material on everything involving the game . Even though being packed with stuff to get going, encouragements are made in the text to go your own way in creating legends, adventure sites and events. Be creative, it is fun! On the Free League forums, players have already contributed with a lot of good stuff to add to your adventuring, make sure to check that out as well. New stuff is added by the awesome players and GM:s already enjoying Forbidden Lands. You can go as epic as you want from the start or go step by step into exploring the surrounding villages and ruins building your campaign as you go. Casual RPG with epic possibilities is what this is. Created by true professionals in the genre. Free League has once again created a player-driven -storytelling masterpiece. Back in the 1980:s there were a type of games we spent a lot of hours with . The game consisted of something called Game Master, custom dice-set and stories where only your own imagination was the limit. We called them Role Playing Games. Mutant was the name of one of the games, and the year was 1984. 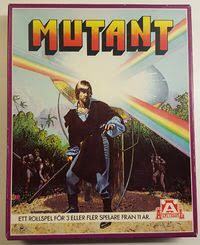 Mutant was released by "Äventyrsspel" amongst other RPG games such as Chock, Drakar och Demoner (The Swedish version of Dungeons and Dragons). 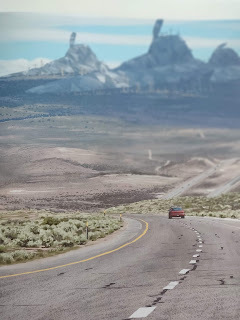 The setting of Mutant was a post-apocalyptic era. Humankind wiped out themselves almost completely from planet earth and by various environmental effects such as radiation and pollution some inhabitants inherited mutations. We are talking old school RPG. It was a time of mystery and magic, death and discovery. Those of us who came across the experience of RPG will never forget the adventure, suspense and devastation thrown upon us via these games. There is no such thing like a well played RPG. The legacy of Mutant and other good olde RPG:s is carried onwards into the new future by companies such as Free league publishing. "Mutant Year Zero" has transformed, evolved into a new game system but the setting is familiar. The world is near it's end, humankind has wiped out most of the world as we know it and it's now up to the players to find and put together the pieces of what's left. In Mutant Year Zero all inhabitants are more or less affected by various mutations which are randomly assigned during character creation. Thats right, here we all are mutated. During the first game night there are characters to be created, and decisions to be made like deciding what the arc itself is built upon. We also have "The Arc", a settlement which acts as a starting point for all Players. One does not necessarily have to start from an Arc, that's up to the almighty GM and the players to decide of course. In each Arc we have "The Elder". A survivor from the old times, with infinite wisdom about the surrounding lands and how things were run back in the old days. We also have bosses in each arc, often multiple bosses with colliding agendas. Can you sense the plot thickening yet ? The Core rulebook and Campaignbook covers are designed beautifully. Page layout, sectioning of the different topics is logical and on point. The artwork is superbly done and creates a nice theme , drawing you into the post-apocalyptic gritty world of Mutant Year Zero. The original Mutant rulebook was a bit thinner in pages . There is plenty of good information to digest, and the rulesystem is not your traditional T6, T3, T8 and T12 anymore. 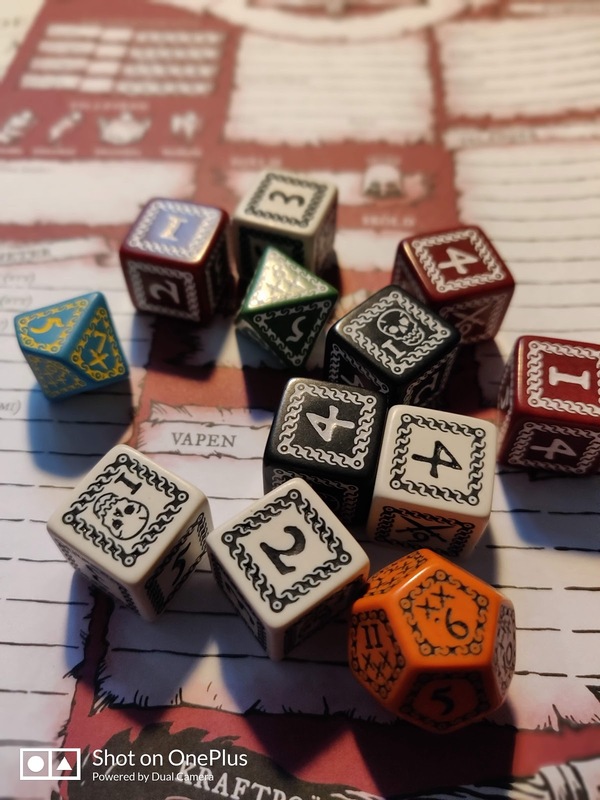 Mutant Year Zero utilizes Cards and custom dice sets of D6. Three colours of them actually. You dont neccessary need the official dice set but having 5 D6 of three different colours is certainly of great help. (you can find online dice-casters too, but we all know it's much more fun when playing with real dice). Did i mention Mutant has evolved ? The format on the Core rulebook inspires GM:s to take the game further than the printed words. Now, to stop spoiling the game experience for any presumptive players reading this review i will skip any more spoilers from this point on. (yes, you have to pick a development goal)which can be anything from a water cleanser, to a electrical generator station) you are ready to venture into the Zone scavenging artefacts, old complexes from the past with unknown inhabitants and findings. But behold out there, it is not safe to travel outside the comfort of your Arc. Exploring the Zone can be rewarding thought. Artefacts found can give you clues to greater things , or even help your Arc to progress in your development project. You might also be cast into a turmoil in your own Arc, there might be a conflict of some sort amongst the mutants living in your Arc due to lack of food, water or supplies. Remember, in Mutant Year Zero, everything is scarce. In this game your team, the players have a lot to say. Forget the 1984-style quite linear role playing style, where the GM read out aloud about where your were, what your task was and who was there with your until you as the players made your moves, threw the dice and went onwards from that. Here the story can go pretty much anywhere. Your GM is there to support and guide you on your adventure. Of course there still are key elements which the GM controls, such as playing the NPC:s for you but in Mutant Year Zero your NPC can also be part of your scavening expedition and your Player Characters might have some sort of relations with NPC:s as well. This creates a realistical element in your gameplay which i find intriguing . Mutant Year Zero has addons too. Mutant Genlab Alpha: A standalone expansion which can also be combined with the Core Mutant Year Zero. Mutant Machinarium: Covering robots and machine beings. Mutant:Elysium:Also a Standalone expansion , playing out in the Enclave of "Elysium". Including a campaign book also. 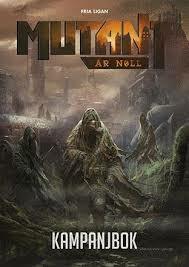 Recently Free League Publishing also revealed the release of " Den grå döden " a campaign that was originally written and published for Mutant 1984. Now totally reworked by the original author and adapted to Mutant Year Zero. Free League publishing has no shortage of pace in releasing titles to keep their players busy, kudos for that! Are you into the post-apocalyptic era ? Can you dig a gaming experience where the story is player driven and GM supported ? Then it's a no-brainer, Mutant Year Zero is for you. Gather your rations, pick up your bullets and grab that water canteen and get out there! A long a time ago there was a young boy who got fascinated by the Role Playing Games of the 1980:s.
There were Dungeons and Dragons, Middle Earth Role Playing Game (MERP),Mutant, Lone Wolf Solo adventures and much much more. These games engulfed a big portion of that boys youth, bringing joy, excitement and thrills for many hours in those days. That youngster is now grown up , with two children of his own. Whats the state of RPG:s today ? There are a lot of games still being developed and to my utter joy there are even Role Playing Games aimed for younger people . This is where todays review is focused , 'Sagospelet Äventyr'. 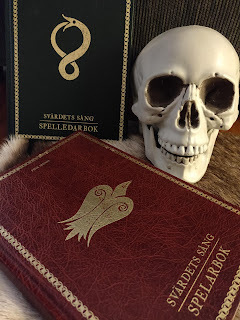 Born out of storytelling between father Daniel and Julia Lehto, the game Sagospelet Äventyr ('Storygame the Adventure' in english) evolved into something bigger than they originally thought . Telling stories, where both Daniel and Julia added their own ingredients into it , they decided to bring their saga to the public , and so was the idea of a game born. Sagospelet Äventyr can be seen as a entry level RPG for young people, mixing traditional Role Play Gaming with interactive actions such as baking recepies out of the books with your players, getting outside to solve parts of a quest and other imaginary solutions to add to the more traditional gaming. 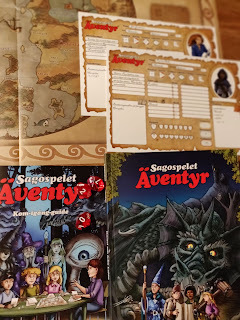 Sagospelet Äventyr is a complete Role Playing Game experience that can be played from 5 year olds and older. It is a beautiful thing, to be able to introduce my own children (Swedish speaking) into the fantastic world of Role Play Gaming on their own terms. Thanks to Sagospelet Äventyr it is possible. Now don't mistake this for a light version of world creation. -Starterbox with a 128 page Rulebook , starterleaflet, 3x dice and pre-made character sheets to get your game going fast . 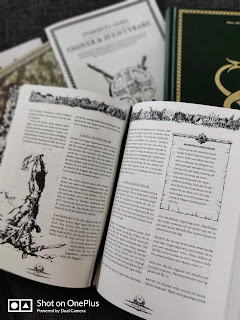 -Worldbooks I and II, covering the history, geography and creatures of Masonias surrounding lands and seas . And if that's not enough to get your juices running, there are 2 colouring books with themed images from the universe of Masonia. More ? Of course there is more , 2 storybooks featuring tales with heroes and heroines from the worlds of Masonia. It does not end with the above, there's more coming. A worldbook III is covering the creatures of Masonia, frightening monsters and even kinder ones . Worldbook 4 is to be released december 2018, covering 'Komino' the island of animals even. In addition there's the world map, which is beautifully illustrated , covering all the lands and seas surrounding Masonia. This is truly an impressive package. Kind of like RPG campaigning for preschoolers. Upon testdriving the intro campaign with our children, aged 8 and 10 they first went into clinch with each other. They missed the point of RPG gaming being heavily dependent on teamworkd, since they never played it so it's no wonder. I as a GameMaster had to stress the fact that to be able to let their player characters survive they must cooperate. Once this fact was stated, and a necessary portion of scepticism was digested they were well on their way with solving the introductory campaign. Need i say they want to play more ? 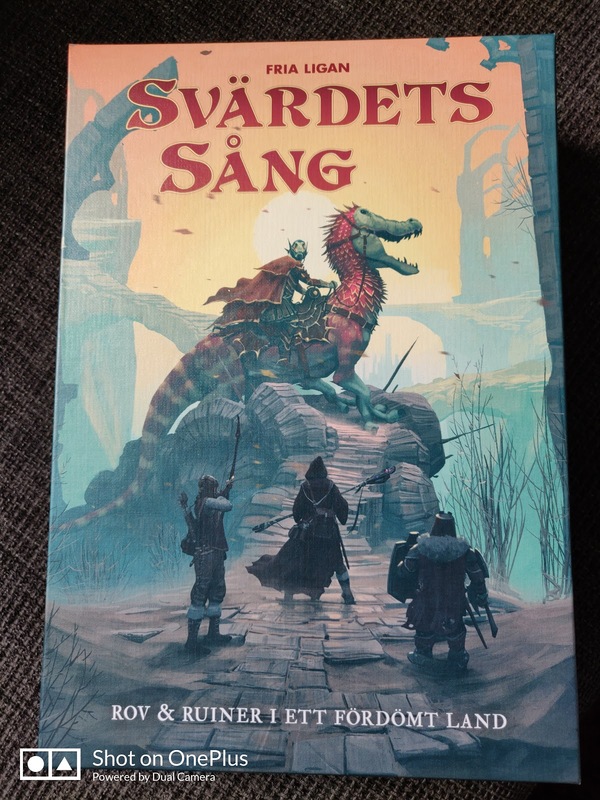 Sagospelet Äventyr is now on it's third printing so popularity is no understatement here. There is a market for this flavour of RPG:s without a doubt. Rumours tell, there might even be International versions coming in the future. 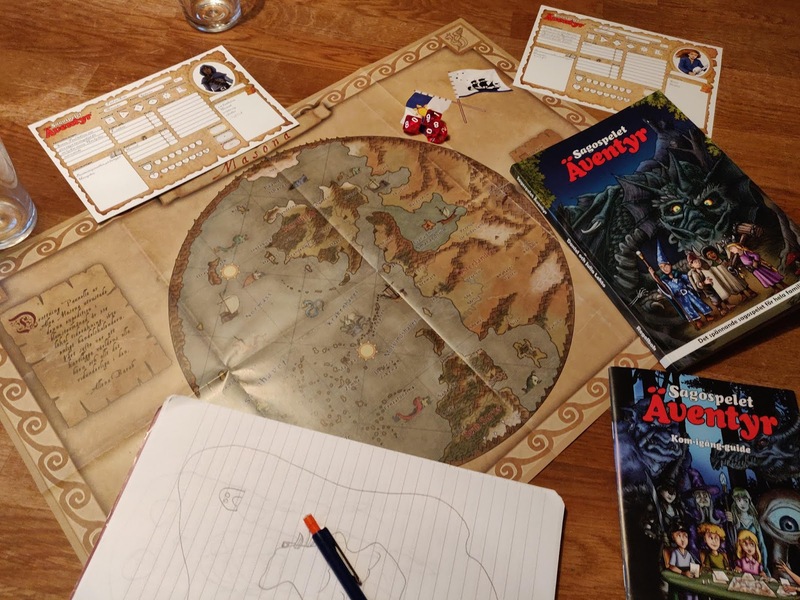 A big bowl of "Thankyou-stew" to Eloso Publishing and Daniel Lehto for letting Androidistica testdrive their Epic RPG. Make sure you check them out ! 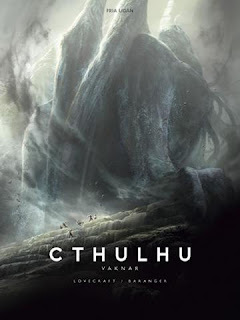 [Review] 'Cthulhu Vaknar' By Free League Pubishing -The Classics never die. Howard Philips Lovecraft was an american writer who lived at the end of 1800 and passed 1937. Yet another creator not being acclaimed until after he lived , and still inspiring artist,writers, and producers in our day and age . H.P. Lovecrafts heritage to the world is quite remarkable and often praised by authors and artists. This review is about one of those hommages. Were talking about "Chtulhu Vaknar" by Free League Publishing company, who have been around since the 2010:s and they have released a Swedish and French version of 'Cthulhu Awakens', which is also coming in a English version . With a nice foreword written by John Howe , also a professional illustrator the story kicks off into the tale of the great one. What strikes me the most besides H.P. Lovecrafts written words is the format of this book and the illustrations by Francois Baranger's fantastic creations. Coming in an A3 format the book oozes of old-time horror and mystique and the graphics are truly stunning in this larger than life format. Each page is accompanied by Francois Barangers epic imagery, which weaves the story into the truly suspense mystical horror fiction that Chtulhu Awakens is. Every page could be a large painting hanging on any living -room wall. Although I have read it before numerous times, the whole experience throws me once again into the tale of mystery and unknown fears. I find myself not just reading a book, but getting engulfed by the mythos and suspense . Being cast into the middle of the events , the lurking unknown horrors of undefined entities, madness and death, while there is a struggle for uncovering the mysteries ,whilst i find myself trying to untie the knot of increasing fear this story builds as it goes on. Each chapter edging closer to revealing the truth behind the mysteries while all the time still keeping the truth out of reach . Following the narrative style story, whilst immersed into the imagery of art , there is a transformative effect. This is a great publication, as good as it gets. Francois Barangers illustrations paired with H.P. Lovecrafts story makes a mark in history as still being one of the classics and carries the heritage with honours to coming generations. And my hat goes off to Free League publishing for adding a disclaimer at the end of the book about the state of litterature and prejudice at the time of H.P Lovecrafts career. It states the obvious and keeps us in the real world. Well done all involved in this fine piece of culture! 'Cthulhu Vaknar' by Free League Publishing review coming up! So were off with a brand new fall of 2018 and Androidistica was blessed with a review copy of 'Cthulhu Vaknar' from Free League publishing. That's 'The Call of Cthulhu' for you international readers. 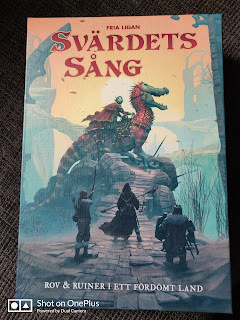 Beautifully illustrated by François Baranger and translated to Swedish by Artur Isfelt. This one is a promising piece of work! Stay around for a full review of this masterpiece! 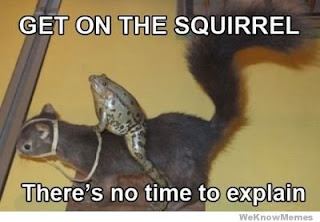 Ladies and gentlemen , start your browsers..
After a few months pause on the blogosphere were starting things up again. Got a few reviews coming up and hopefully even more in the future. Don't touch that dial, and get ready for some review-action here again! Sadly the day has come to put Androidistica.eu on hold until further notice. No bad luck or calamities is the cause for this just the simple matter of lack of time. 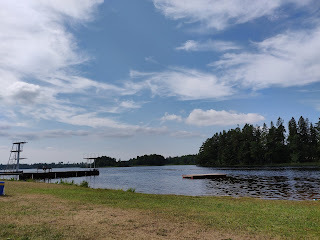 It has been fun, challenging and a great learning to keep this blog running. All partners, reviewer providers have been totally awesome in sending stuff for reviews. I thank thee, sponsors and readers for this time. Maybe we will meet again! 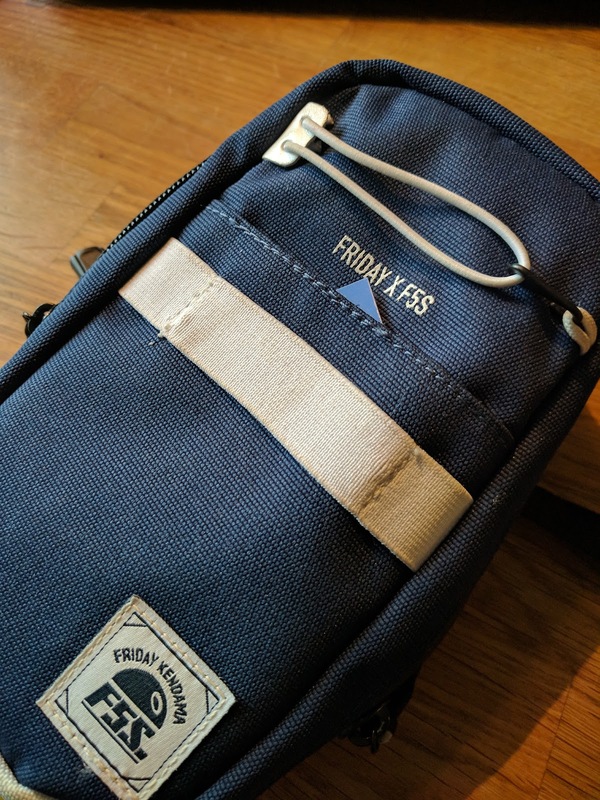 Fridaykendama just released a limited collaboration together with F5S called Seawave Kendama Bag. Included is a Kendama bag, a Seawave Kendama with bubblegum paint on the tama. The Ken and Sarado are made out of really smooth Beechwood . 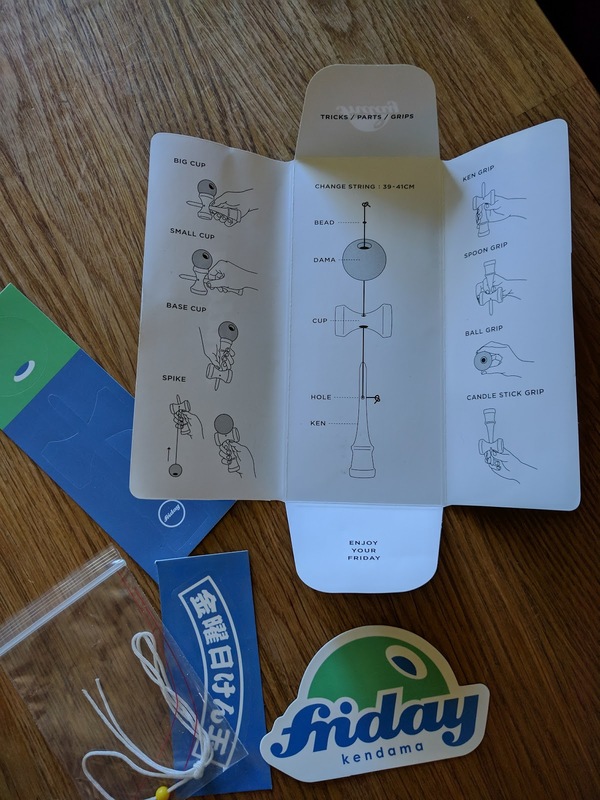 Also included in the bag is some stickers, a spare string for your Kendama and a small leaflet with some basic instructions. 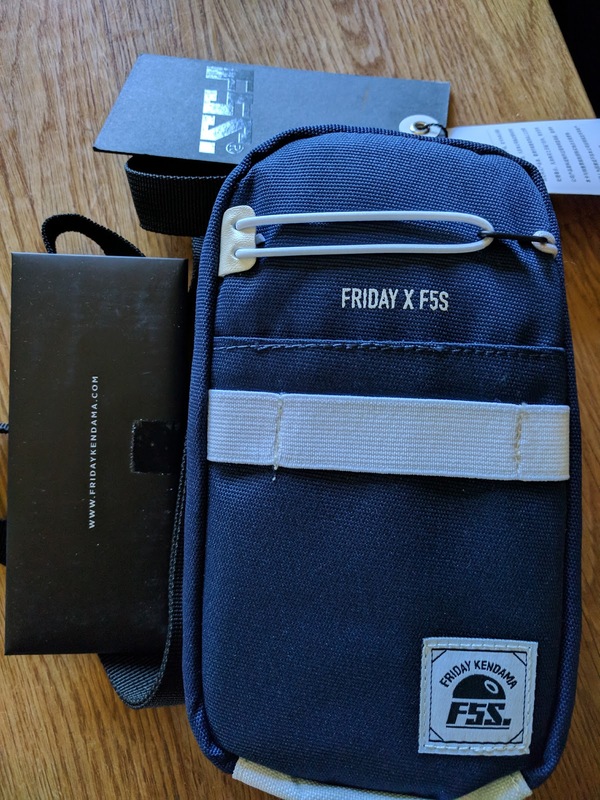 I really enjoyed the bag and Kendama. 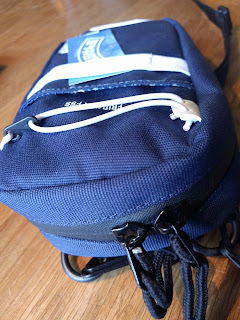 Both bag and Kenadama are made out of quality materials. This is the first Bag of this kind i have seen and versatile is the word here. 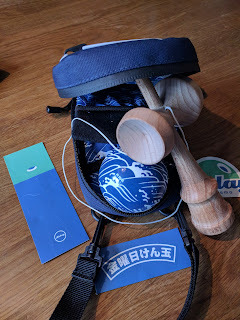 You can either store one Kendama inside the bag, or you can bring along two Kendamas and store one inside and the other outside the bag. The bag is very cool , has two main compartments inside and two smaller pockets on each inside cover. 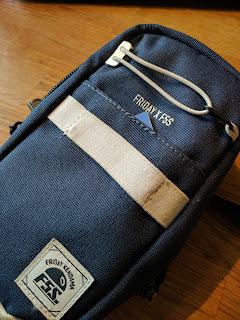 I did a roadtest with this bag during a week abroad and it worked excellent! Carried it to the beach with my Kendama and wallet. 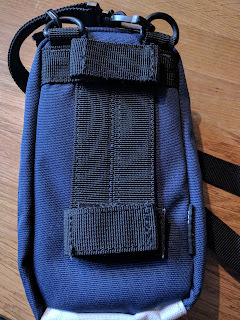 Zipper smooth, fabric feels durable so this will not wear out any soon . So what about the Kendama them ? Beech wood made so smooth you just want to hold it all the time. Tama has that beautiful sea-motif bubblegum paint giving it some grip. Craftmanship on the Ken and Sarado is very good. No roughness or cracks anywhere. Smooth sailing with this one. I have not had time to break it in , but the time i spent with it so far is promising. It is always nice when Quality is keyword amongst creators of Kendamas, and this limited edition collab has covered quality, style and freshness in this one. 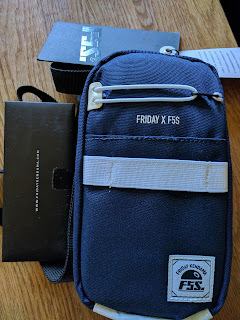 Both thumbs up for Fridaykendama X F5S. Make sure to check out Fridaykendamas webstore for their other products as well. Another way to carry it. The people over at PlayKendama have kept on evolving their Kendamas. We hereby present the Play Grip II K .
Fullfilling the European standards for flammability, containment of unhealthy substances in paint and more safety precautions when manufacturing products. 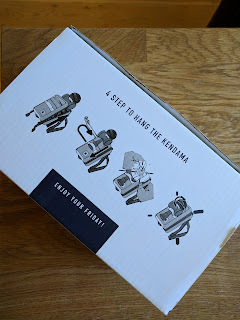 Not many Kendama brands do this, which is why PlayKendama sticks out and claims their unique position out there . The Play Grip II comes neatly packaged with a spare string and a little booklet with basic tricks described. 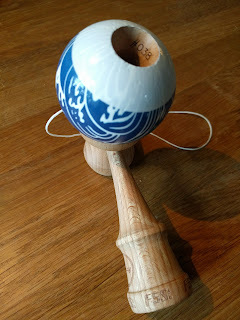 The last is not described by PlayKendama but an observation done , comparing with the last series of Play Grip K kendamas. Play Gip II on the right, Play K Pro to the left. Notice small desing changes of cup sizes and Bottom cup edge hight. So how does it play then ? Not being a pro player, and only been doing Kendama for a year now the Play Grip II K feels solid. The two sided painted Tama works really nice with the matte grippy paint and i also like the new string which adds stability . The new Kenshape is a discreet change, it feels comfortable and does not occupy my mind at all. Design is not changed in a major way, just a few small adjustments are made to the Ken shape. It finds it's home in hand very well. PlayKendama delivers once again, bringing their Kendamagame even further. The whole package presents something new, which it also is. Never forgetting the basic tricks with a small leaflet is a nice way to keep attracting new players . This one is a daily slayer. Beatiful design with new matte paint and grip . Discreet alterations to the Ken shape increases playability and comfort. Recommended for any player, new and old ones. Once in a while you stumble upon something so fascinating that your curiosity takes overhand. This usually involves stories of success stemming from hard work and enthusiasm. This is such a true story. Some time ago our beloved kids were asking to get Kendamas. I saw Kendamas at times in the locker room of my sons icehockeyteam, a teammate of his was playing with a Kendama. Then i saw Kendamas on the kids schoolyard, several kids playing with them. I finally caved in and bought our children a Kendama each. Fast forward from Spring 2016 to late autumn 2016, more specifically a friday afternoon. I am on a Skype Video call with Thorkild May, sitting in the Krom shop in Denmark, servicing customers while having a relaxed talk with me about what i choose to call "The Krom Saga". We talk about how it all started, back in 2007 when Thorkild with some friends were visiting the Roskilde Festival. There he spotted a man playing with a Kendama, he actually had two. Thorkild asked if he could try it out and so he did. 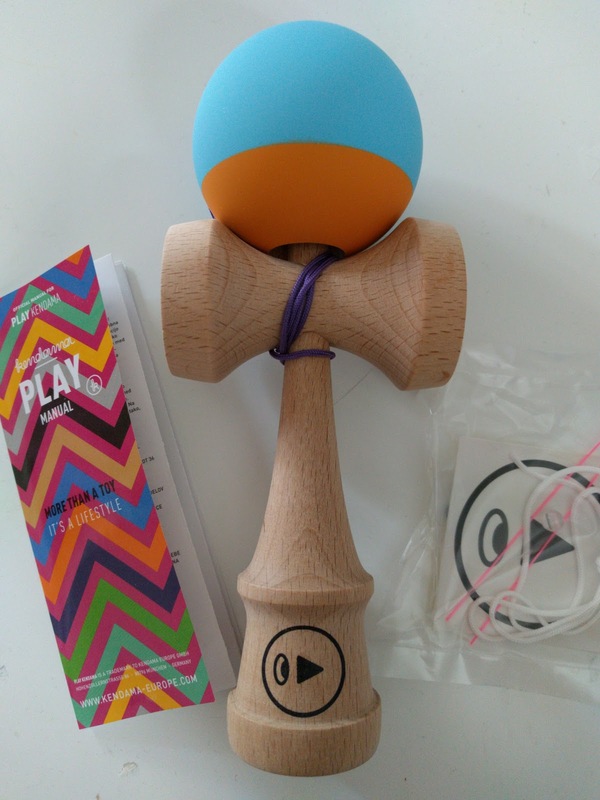 He ended up buying one of the mans two kendamas, and all of a sudden the Roskilde festival involved a whole lot of Kendama jamming by Thorkild and his friends. Now Kendama became a thing for Thorkild and his friends. 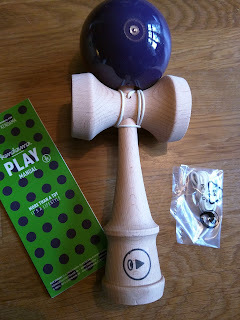 A trip to Japan rendered the host of friends with some more Kendamas and Kendama.dk was born. More Kendamas was needed, to share the fun and love, so a small business was setup in 2010,mainly to serve friends and close ones with Kendamas. 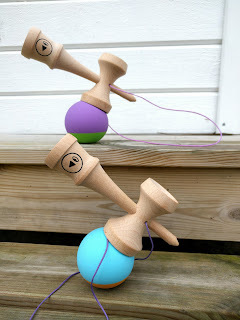 In 2012 Kendama.dk hit the nationwide newspapers and Danish National TV. The movement grew across the country. Kendama became a bigger thing in Denmark thanks to the media coverage. 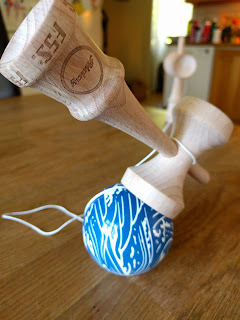 2013 a tour across USA and Japan was made, and new ties were made with the likes of KendamaUSA and, TerraKendama. Competitions and Jams were visited by Thorkild and his friends. A world championship title was received by Thorkild in the Catch & Flow Freestyle competition 2014. During this tour a lot of new friendships were made and the network of Kendama enthusiasts grew bigger. Kromkendamas latest addition to their armada of high quality Kendamas, the "Slaydawg" sells out of stock in a matter of few hours. Actually it sold out in about one hour. The rate of success cannot be unseen here. During our interview Thorkild kindly apologizes to serve yet another customer who's buying a Krom Kendama, asking if he wants it signed by him. Back to our interview then. I had to ask if Thorkild would bring a Kendama to the retirement home once he had to go there ? 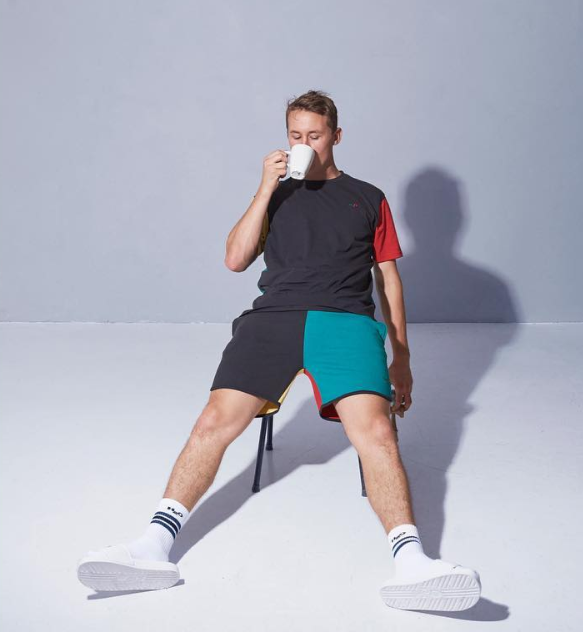 Talking with Thorkild about the spawning Kendama clubs , what advice does he have to the emerging Ken-Clubs? - We all know that feeling of hitting your first spike. - Keep competing with yourself and have fun with it. - Embrace your own style and support each other. -Keep hosting Jams, invite people to them. Keep online competitions and engage in online communities. Wise words straight from the heart from a young man who already has gathered a lot of experience regarding Kendama- pro life and business life. Not being a one man show, the Kromkendama team consists of more people than Thorkild naturally. 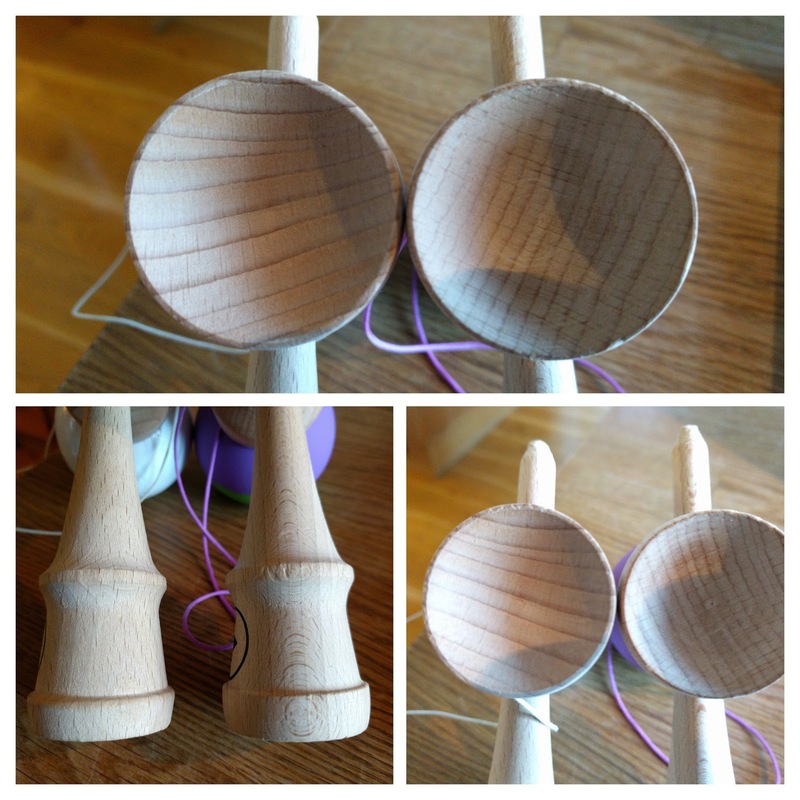 So what is important for Kromkendama when designing a Kendama ? - It's important for it to be playable,by the players for the players you know. - Regarding standards and regulations, they need to be flexible. - Just as football goals are made bigger to make the sport more challenging and- enjoyable , so does Kendamas need to evolve in benefit for the players. -There is no use being stuck in some 70's regulation regarding sizes and measurements.,the sport needs to evolve, getting stuck limits evolution. Asking Thorkild about where Kendama will be in five years , and where will Kromkendama be ? - Well , hopefully in a cooler office than this basement shop . Thorkild laughs and explains enjoying their KromKendama shop, there is charm and understandably a lot of history. - We want to help Kendamacommunities grow, keep spreading the good message of -Kendama. -We want to keep doing charities, do team battles and keep enabling communities. Thorkild feels there being a lack of scientific research on health benefits of playing Kendama. I have to agree on that, there is literally none. - There should be programs for seniors, schools for helping people gain the benefits of playing with Kendama. Thorkild continues. Titled World champion in 2014 in the "Catch & Flow" Freestyle competition, CEO of a top company in the Kendama-sphere ,being a role-model for Kendamaplayers all around the world and serving customers in the basement shop of Krom at Westend 20 , Copenhagen Denmark. There is something impressive in this kind of attitude, hard not to like . Something is cooking within this Team, bringing the Kendama sport even further ahead than it is right now.